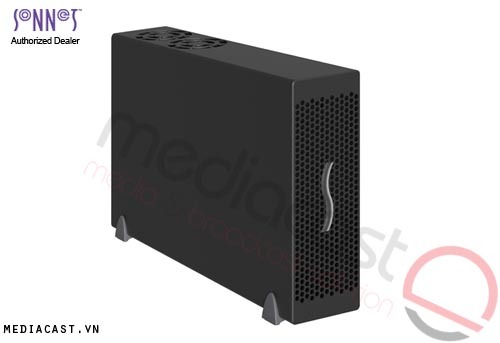 The Echo Express SEL Thunderbolt 2 Expansion Chassis from Sonnet is a single slot expansion chassis. 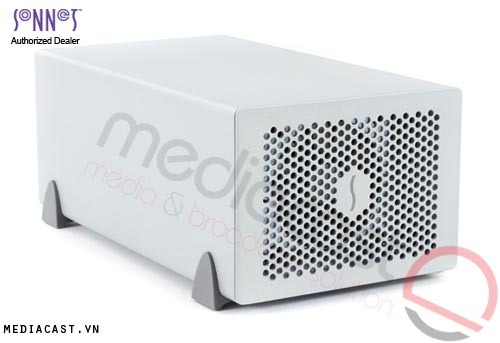 It features 20 Gb/s Thunderbolt 2 technology that provides sufficient bandwidth to support many high-performance and demanding PCIe cards. It delivers maximum performance when connected to a computer with Thunderbolt 2. The SEL is also fully compatible with computers with 10 Gb/s Thunderbolt technology, supporting most cards at full-performance. The SEL is enabled by Thunderbolt technology, allowing PCIe expansion slots to be connected outside a computer. 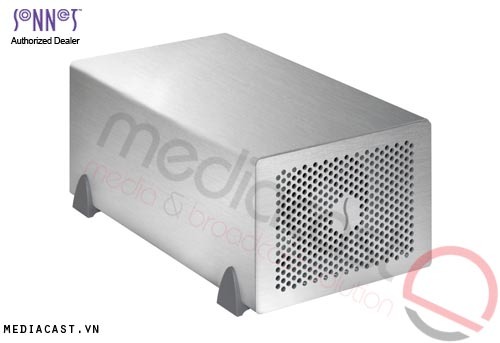 This compact desktop Thunderbolt 2 to PCIe card expansion chassis is suitable for connecting one professional 16Gb or 8Gb Fibre Channel, 10 Gigabit Ethernet, SAS/SATA host bus adapter or RAID controller PCIe card to any Mac with a Thunderbolt port. Maximize the performance of computers with Thunderbolt 2 technology. Backwards compatible with host computers and other devices equipped with 10 Gb/s Thunderbolt technology. 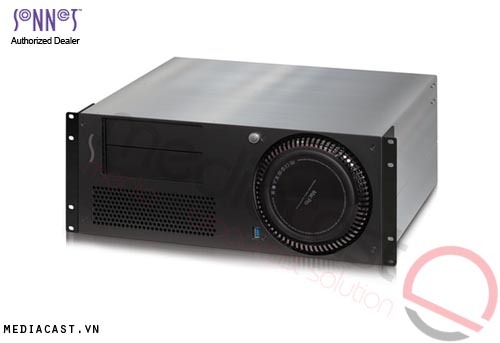 Most compact Thunderbolt 2 to PCIe expansion system available, designed to fit the Thunderbolt compatible high speed networking and storage controller interface cards. Daisy-chain up to six devices to a single port on the host computer. The Echo Express SEL is designed to be quiet so that it can comfortably be used in noise-sensitive environments. 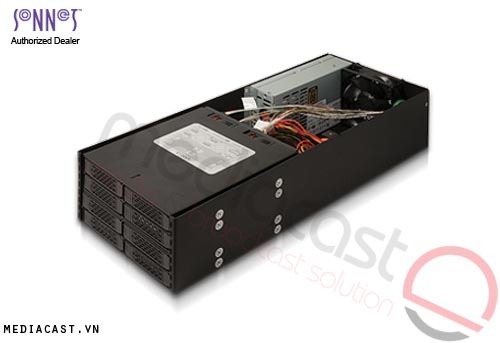 The airflow path within the chassis has been specially designed to quietly and efficiently cool the installed card with a temperature controlled, variable speed fan. It features automatic power on/off to save energy. Since Echo Express products automatically power on and off with your computer, there is no power switch on the chassis. 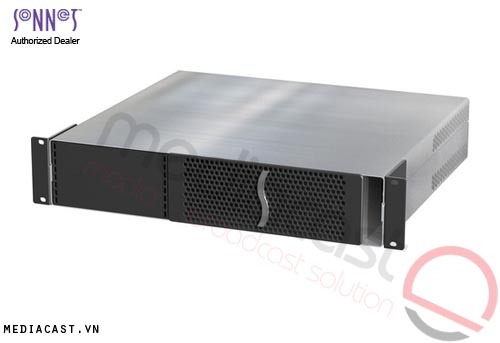 Constructed of rugged and lightweight aluminum, the outer shell of the Echo Express SEL securely protects the PCIe card installed inside. The variable speed, temperature controlled fan automatically speeds up as necessary to ensure that even a hot running card and the chassis's components remain reliably cool. Because the fan automatically speeds up and slows down as needed, there is no guesswork in setting a switch position, and no need for tools to change settings. 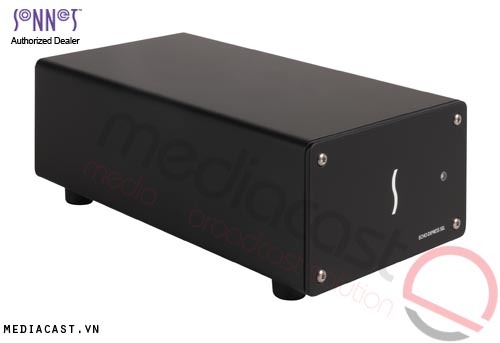 The Echo Express SEL is small, light, and suitable for use in situations where only a single low profile PCIe card is needed. Measuring a scant 4" wide by 8.4" long by 2.8" tall, the SEL is designed to house one low profile PCIe card including compatible high speed networking and storage controller cards. The SEL includes two Thunderbolt ports to support daisy chaining of up to six devices from a single port, on your computer. 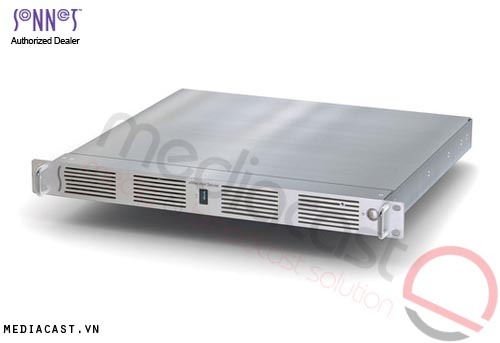 It supports one half-length (up to 6.6"), low profile, single width PCIe card. PCIe 1.1, PCIe 2.0, and PCIe 3.0 cards are supported. Sonnet optional Thunderbolt cable lock secures Thunderbolt connectors plugged into the Echo chassis. It is easy to install and prevents accidental cable disconnections.